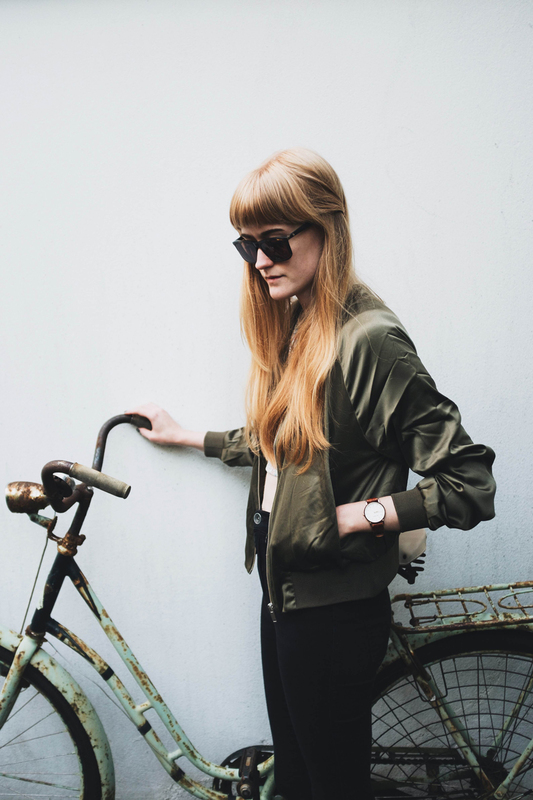 I have never really been a fan of bomber-style jackets (at least I didn't think they suited me very well), until I found this one a few weeks ago. The perfect olive/khaki green colour, thin and semi-shiny. I've been living in it since then. Yeah I think the trick to a bomber jacket is to get a thing one. I love this color on you! Agreed! Usually they look all poofy, so glad I found one that didn't. Thank you! Gorgeous! Where is the jacket from? I've been looking for a non-poofy bomber.